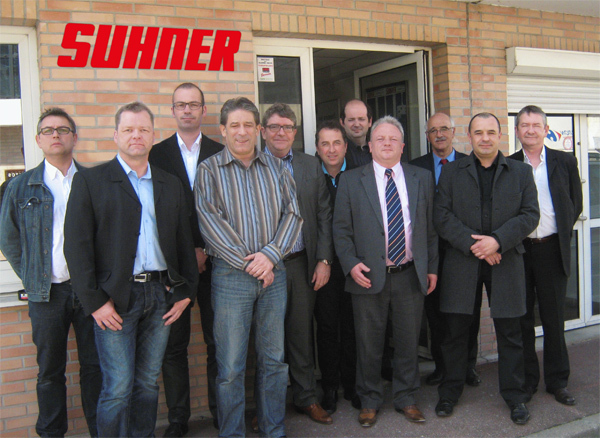 Suhner France has been operating in its current state in France since 1990. In Alfortville, we have a well-stocked warehouse enabling us to immediately respond to any urgent requests. We receive deliveries from our headquarters in Brugg, Switzerland twice a week and major deliveries come from our German plant in Bad Säckingen. Our fast response times attract more than 1000 customers every year. Over the years the company has built up a reputation as a market leader in France in the field of surface finishing. To meet challenges to the best of our ability, Suhner France has a wide range of machine and tools as well as an extremely diverse range of suitable accessories and wear medium in electric and pneumatic units and machines with flexible shafts. We are successful in attracting regular customers from a variety of sectors, from stonecutters to high-tech areas such as the aviation or automobile industry. In France we work with a qualified team of technical consultants who are responsible for certain geographical areas. This keeps the distance between the consultant and customer to a minimum and all our consultants have product demonstration vans which allow the most appropriate tools and accessories to be presented to the customer if required.